Thinking of starting an Etsy shop? This week’s guest post from Leah of Boynton Fly Away Studio will help you get started. Owning and running an Etsy shop is a thrilling experience. I have to admit however that I was slightly overwhelmed by just how much work went into the business side of selling my art when I first started. There will be ups and downs, but at the end of the day there is a certain sense of accomplishment and pride in selling your masterpieces. Here are a few of the things I learned along the way. I highly recommend looking at other shops on Etsy who are marketing similar items to yours and see what some of the most successful shops look like. Take note of how the shops photograph their products, describe their art, what the going prices are, and read reviews left by customers to get a sense of what is important from a buyer’s point of view. Keep this quote in mind! Your buyers are not able to physically touch the items they are looking to buy. Take as many photos as you can using crisp, clean backgrounds with ambient lighting. Show off different angles and your product in use so buyers can get a true idea of what their product will be like once it is in their hands. You don’t need a fancy camera to achieve this, either. I personally have the best luck with a smartphone. When writing a description of your art, you will start to see terms such as SEO (search engine optimization) and keywords. I highly suggest you look into how these work to use them to the best of your advantage. Fuzzy and Birch is a great blog to check out to get familiar with these terms. There is no “one size fits all pricing formula”. At the end of the day, it’s what you can comfortably say to yourself, “This price does my art justice.”While browsing other shops, see what their prices are so you know what you are competing with. If most jewelers sell similar items to yours around $20, then it may be harder for you to sell your jewelry at $50. Be sure to take into account the cost of all of your materials, including shipping packages and fees. Speaking of shipping: to offer free shipping or not? That truly is a question a lot of Etsy sellers ask themselves. Free shipping isn’t necessarily “free”. It factors shipping prices into your product prices. Etsy does allow buyers to filter shops that only offer free shipping, so it is something to consider and play around with. I recommend asking friends and family for their honest opinion, asking them if they would rather pay “A” for your product or pay “B” plus shipping (and let them know approximate shipping costs). It is a good idea to see what Etsy is charging you in fees before starting, so you have a clear understanding of how much money you will be making with each product. There is a listing fee, an Etsy fee (the amount they will take for their profit), and transaction fee. It is a good idea to check what each of these fees are for where you live. You will also want to go check at your local post office or online to see what your shipping fees are for both domestic and international shipping. This way you can price your shipping accordingly and decide if you would like to offer international shipping or not. 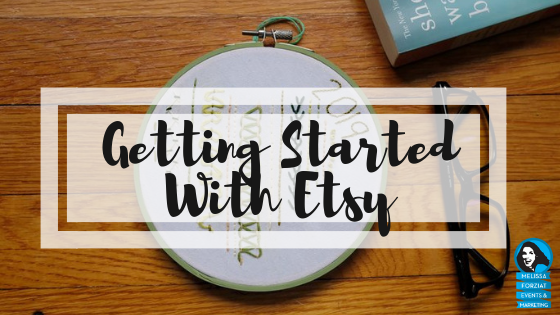 There are a lot of resources available to Etsy sellers that allow you to stay up to date with what is happening on the site. I highly recommend looking at the Etsy Seller Handbook . Take advantage of ERank (EtsyRank) which “grades” each of your listings and helps you achieve maximum viewing. Another great way to get inside tips and tricks is joining groups on Facebook. Here you can ask questions and converse with like-minded people. Maybe you can even help someone else out with a topic you are knowledgeable about. There will be days when you are “riding the high” of getting a sale and other times you may say “what am I doing wrong?”. This is totally normal! Make sure your happiness with creating art comes first. If you need to take a break, that is okay. Step away for a little bit and come back when you’re ready and excited again. A lot of this will be trial and error. Eventually you will find a system and rhythm that works best for you. Best of luck to you and your art! Leah Boynton, owner of Boynton Fly Away Studio, has been creating art for as long as she can remember. One of her first memories is painting in her grandparents’ basement. She followed her passion for creativity by taking as many art courses as possible throughout her schooling. Leah was particularly drawn to photography, needlework, and beading due to the attention to detail required. 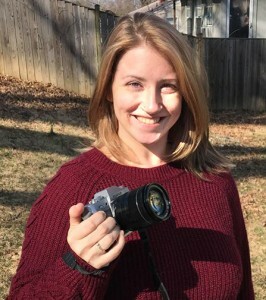 When not taking photos or creating art, Leah enjoys being in the outdoors, reading books, practicing yoga, and spending quality time with her family. You can find her work on Etsy or connect with her on Facebook and Instagram.